How important is trust to your business? Brian Moriarty says it’s just about everything, and that trust protects you from risk. Moriarty, who is the director of Darden’s Institute of Business in Society, told a PRSA Richmond audience that employee engagement can help build reputation and trust. This happens, he says, because we are social creatures. We like to share things we value. As a result, trust becomes the engine of advocacy. Among the dimensions of trust are good will, integrity, confidentiality and transparency. Moriarty pointed out that when some element of trust exists, things run more smoothly. Trust impacts employee performance, innovation and customer acquisition, for example. He cited USAA, an insurance agency that is consistently rated first in customer service and loyalty. USAA is known for valuing its members. As it happens, I am a member, and right after I tweeted about it, they replied by tweet. Not only did they thank me for the tweet, they thanked me for my membership. That level of engagement only increases my trust and makes me a stronger advocate for the company. Maybe it’s time to pause and think before you share. The same holds true for journalists and aid responders, who need to have the skills and knowledge to rapidly and reliably verify information in the wake of a disaster. 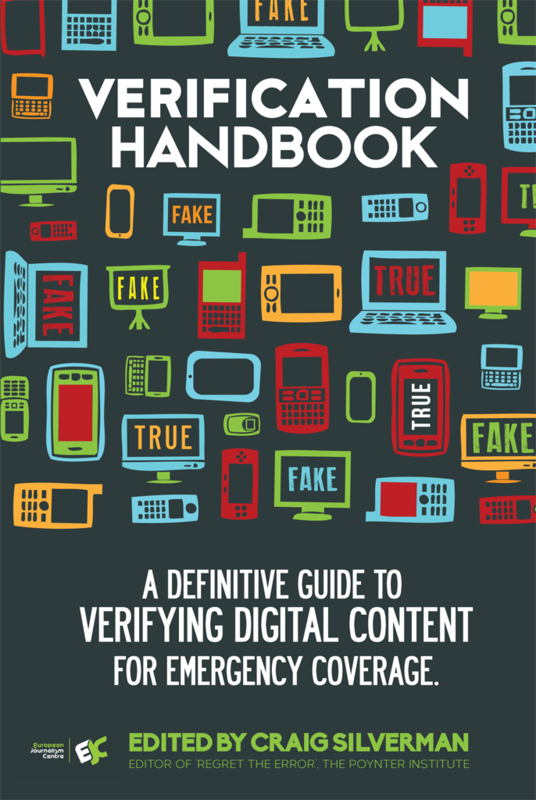 That’s the premise of the “Verification Handbook,” which is freely available to anyone. Available for more than a year, it is an initiative by the European Journalism Centre (EJC) in the Netherlands, and financed by the Dutch Ministry of Education, Culture and Science, as well as the African Media Initiative (AMI). The project is supported by various international partners including the UN Refugee Agency (UNHCR), the United Nations Alliance of Civilizations (UNAOC), and the United Nations Development Programme (UNDP). If you want to know more about verifying information in a digital age, check out the Poynter Institute’s self-directed course, “Getting it Right: Accuracy and Verification in the Digital Age.” You will learn how to use facts to support your story and which tools to use for verification. The advice is invaluable not only for journalists, but also for bloggers, citizen reporters, journalism students and those regularly sharing on social media. I followed an interesting exchange on social media where an editor voiced his frustration because a news release that had been embargoed was posted online by one news outlet many hours in advance of the embargo being lifted. The editor was frustrated – and rightly so. As a former newspaper reporter and now PR person, I try to be cognizant of print publications — the daily paper and the weeklies because they can’t push a story out the way TV and radio can. It’s a bit easier today with the online sites, but it’s nice when a print publication can publish timely news within its news cycle. I’ve actually distributed two news releases recently where I embargoed the story until the morning. My goal was to give print reporters time to conduct interviews and still have a story in the morning edition. TV and radio would still be able to cover it, too, and this way, everyone had it at the same time. Turns out the PR person in the situation described above had an ongoing relationship with one reporter and had granted that reporter permission to publish early. That changes everything. It’s no longer an embargoed release. It’s a story that is given to one reporter and then shared with other reporters after it has initially appeared. As a PR person, I don’t have a problem with that, but you should be upfront that you are doing so, and you probably only want to do that sparingly. What troubles me about this situation is that a frustrated editor or reporter in the future may not adhere to the terms of an embargo, hurting all reporters and PR practitioners. As a PR person if you don’t need to embargo the story, don’t. If you want a particular reporter to have the story first (in old-school journalism this was known as a scoop, and the reporter usually unearthed it on her own), give it to that reporter and no one else. Develop relationships with reporters at a variety of media outlets. Know when their deadlines are, how they would best like to receive information and how you can contact them.